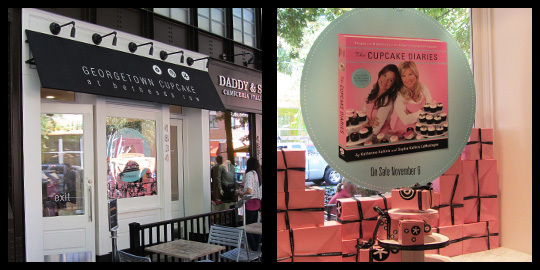 After a nice lunch that served as a little “halftime break” from sweet wonderful cupcakes, we ventured back out again, and actually only had to walk around the corner to our next stop: Georgetown Cupcake. Last year we visited the one in DC (see here) and it was the favorite of the day. We were really curious to see how this location would compare to that, especially after experiencing the wonderful Fancy Cakes by Leslie. We were hoping that there wouldn’t be a crazy long line like there was last year, and there wasn’t (yay!). The girl at the door was friendly, but unfortunately the staff behind the counter was kind of blah. Not super grumpy, but not happy or enthusiastic either. Another bummer about this stop was that there is only one table that you can’t really sit at, since it’s gets pretty crowded in the little shop. So instead of getting cupcakes and sitting to enjoy one, we all just got ours to go. As expected they had a great selection, but I already looked online and knew what I was going to get (right now, it’s all about the fall flavors for me). 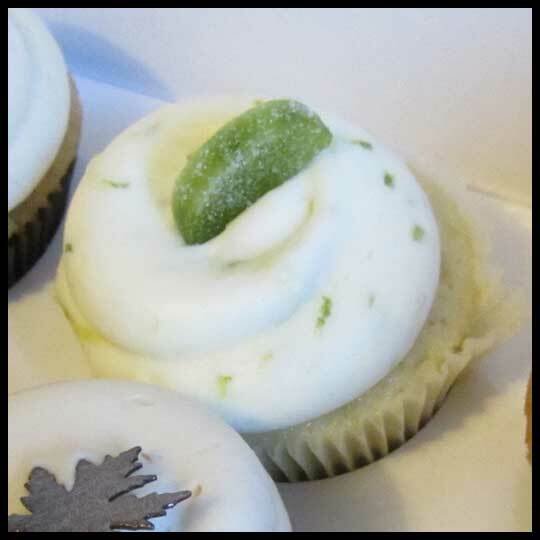 Last year the two big hits were the Key Lime and the Salted Caramel (if you couldn’t have guessed). I would have gotten a Key Lime for myself, but I was too tempted by the fall flavors. 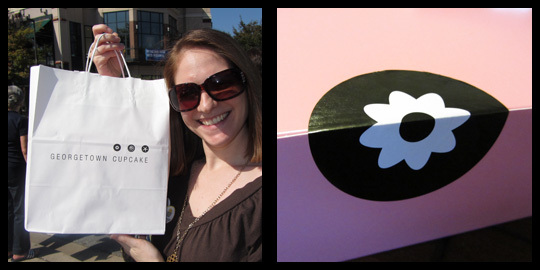 After waiting a few minutes, we all had our cupcakes in hand and were ready for the next stop. 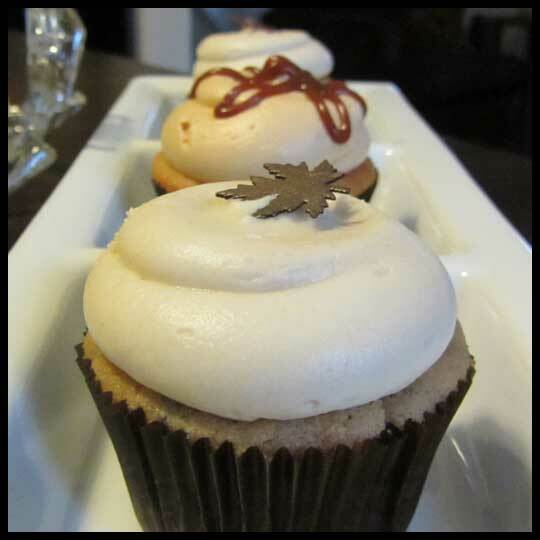 Even thought Elisa and I disagree about the Salted Caramel, we both agree that the Pumpkin cupcake was REALLY good. The cake was dense, but I wouldn’t expect different from a cake with pumpkin in it. The frosting was sweet, but just the right amount of sweetness for the cake. This is definitely one of my favorites from the trip. Jenn said that she thought it was “yummy” (that is her exact choice of words) but not her favorite from the day. 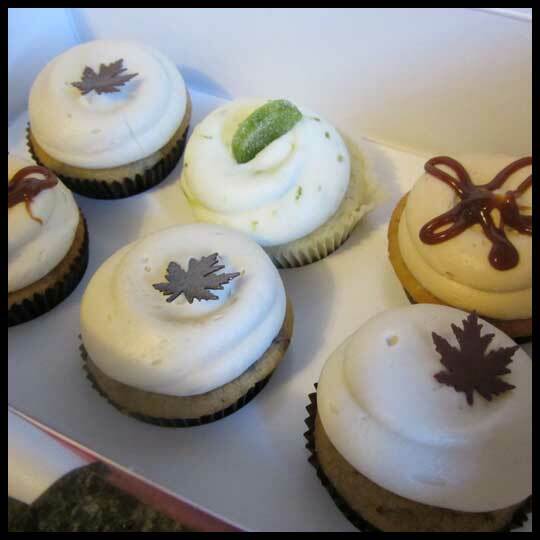 Elisa said that she was surprised because she felt the cake was still true cake and not pumpkin bread in a cupcake liner. Jenn and I each got a chocolate maple, but we don’t have the same thoughts about it. 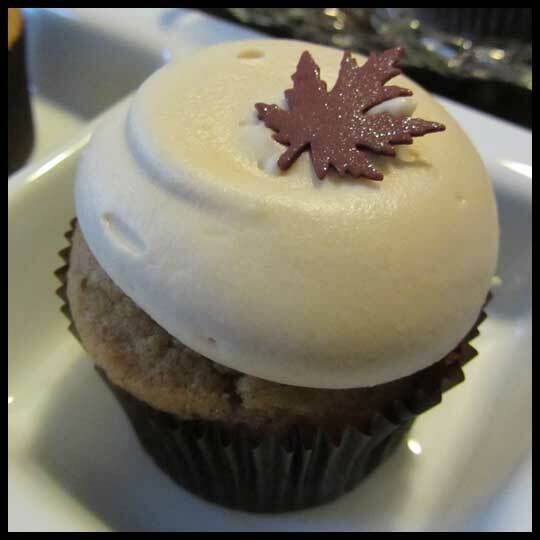 While Jenn thought there wasn’t a super strong maple flavor I thought it was packed with maple flavor, so much so that it made it a very sweet cupcake. We do agree that the cake was pretty dense, but to me that just gave it more of a chocolate chip pancake feel, which went really well with the maple frosting. Even my husband, who isn’t much of a cupcake fan (I know. How could you not love them? ), was surprised because he didn’t think he would like it, but really did. It was really sweet though, so I was so glad I had him to help me finish it. 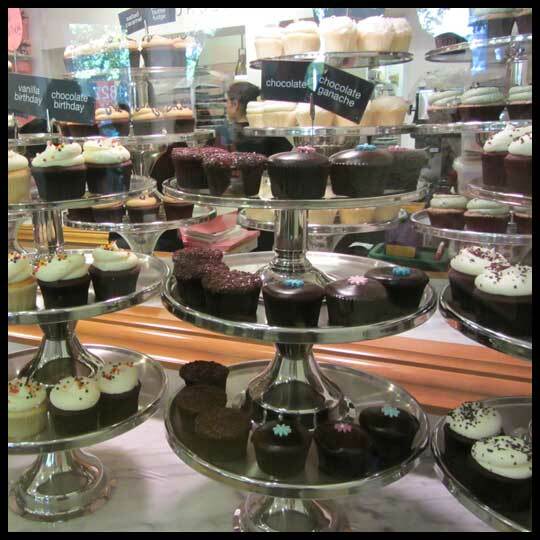 All in all, Georgetown Cupcake is a must for any cupcake lover. 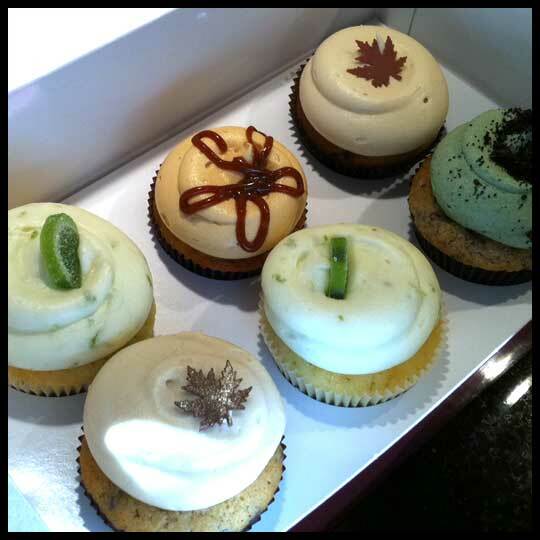 It’s great to be able to say you had cupcakes from “that TLC show,” and they really are delicious. 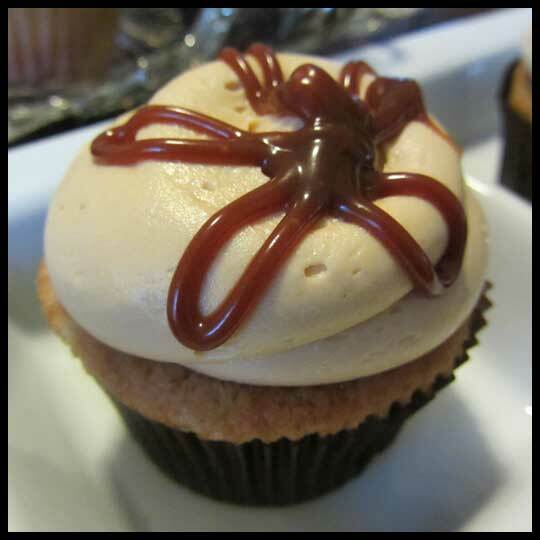 Even though Fancy Cakes is just around the corner, when I’m in Bethesda, I will definitely be getting cupcakes from both locations. 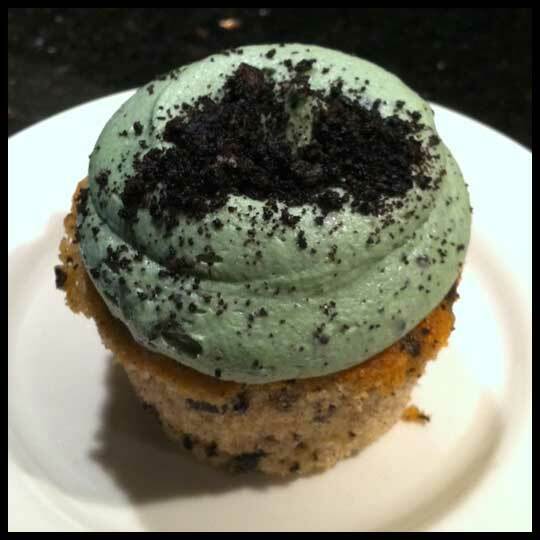 This entry was posted in Cupcakes, Maryland and tagged 2011 Cupcake Tour, Cupcake, DC Cupcakes, Georgetown Cupcake, key lime, maple, maple chocolate chip, mint cookies and creme, mint oreo, pumpkin, salted caramel, Tour by Stacy. Bookmark the permalink.